An exhibition on the endangered Saola opened in the central province of Thua Thien-Hue’s Hue city on April 30 has caught people’s interest. It is taking place at the Tu Tuong Park as part of the ongoing Hue Festival. It provides visitors with information on the rare species and conservation efforts as well as the province’s ecological diversity. The World Wide Fund for Nature (WWF) Vietnam and the provincial forest ranger department co-organised the event, which lasts through May 2. 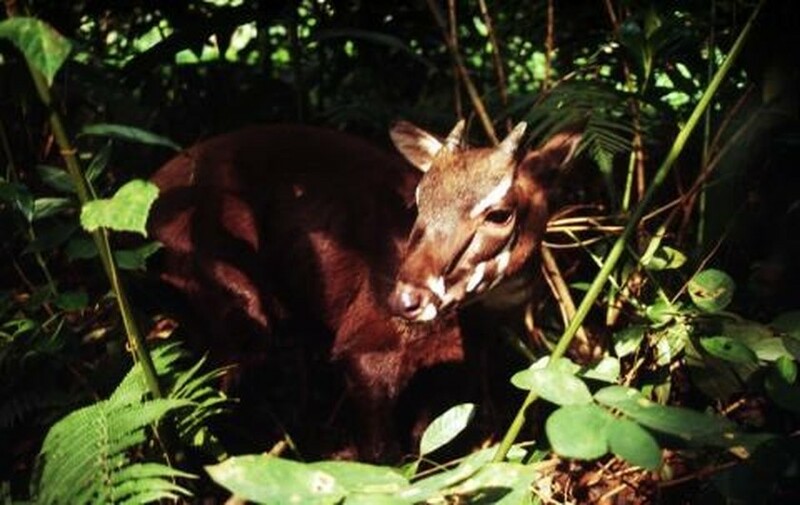 The Saola, also, infrequently, Vu Quang bovid (scientific name: Pseudoryx nghetinhensis), is one of the world's rarest large mammals found only in the Truong Son Range of Vietnam and Laos. Related to cattle, goats, and antelopes, the species was defined following a discovery of remains in 1992 in Vietnam’s Vu Quang Nature Reserve by a joint survey between the Ministry of Forestry and the WWF. According to the WWF, with its unusually long horns and characteristic white markings on the face, the saola is a strong symbol for biodiversity in Lao and Vietnam. The species has two parallel horns with sharp ends, which can reach 50cm. These are found on both males and females, probably as a means of defense.